While many have encouraged me to continue with my blog, the biggest support I get comes from mechanchim. This might come as a shocker to some, but the most encouraging letters I receive are from rabayim that have a good grasp of today's teenagers and the world they face. My reasoning is, that while they are not allowed to voice their own opinion they are happy that someone else is. One such mechanech, who has been in the field for many years, goes by “Curious George. You can find him commenting on my blog sometimes, usually confronting those with distorted views of yiddishkeit. George, like so many others, has been there from the beginning, helping and encouraging me along the way. One thing I noticed about him, was his keen insight into our current times and a good vision of where we as orthodox Jews are heading into the future. As I am off on summer break, and besides I think people need to hear from other voices, I asked George if he can write about this topic for me and my blog audience. I apologize that I am unable to use a real name for this post, its just something we need to accept at this time. So just as the man with the yellow hat, this post will need to remain nameless. Like anything else I publish, I’m just trying to raise awareness to the real problems we face, and how we can grow in the future. 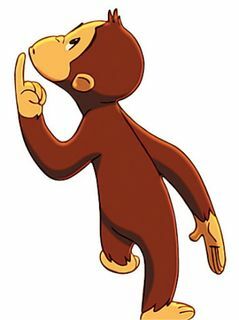 I gave Curious George moderation rights and if he feels the need to respond, I’m sure he will. Thank you George. Over the past decade or so the Yeshivish Olam has been experiencing some turbulence. As individuals within the community we are pulled in many directions and aren’t quite sure which way to turn. Economics – Many young men and women are dissuaded from attending college. Everyone is told to attend Kollel or be a Kollel wife. This works out well for many who come from wealthy homes. At some point down the road, the father or father-in-law takes the young family under his wings and all is well. But for others, somewhere around age 30 with a few young children, a financial crisis is suddenly upon them. How to pay tuition? How to feed the ever growing family? As the family grows, the needs grow. It only gets worse, very quickly. If there is a special needs child or two, forget about it! Such things have no place in a budget that can barely survive. Braces? Oy vey! Etc… Paying for Seminary? Impossible! Weddings? Completely impossible! Hashkafa – One day about a decade ago, we woke up to a brave new world. A world where hashkofos that were kosher the day before, were declared treif! First My Uncle the Netziv wasn’t reprinted, then Rabbi Nosson Kaminetzly’s book was banned, then Nosson Slifkin’s books, then concerts. Rules about tznius started getting ramped up, things started getting intense. Rabbi Aryeh Carmel was the one who brought us Michtav MeEliyahu, a staple hashkafa sefer in many yeshivish homes. But somehow, at the end of Rabbi Carmel’s life, some things from Michtav M’Eliyahu were no longer “mainstream”. When it came to Rabbi Slifkin’s books, after some give and take, we heard a psak that the Rambam and other Rishonim may have held certain views and for them it was OK, but for us those view are heresy –even if yesterday we relied on them and were taught them by our Rebbeim. Does a person just flip a hashkafa switch in his brain and that’s all there is to it? Was this fair to our tzibbur? Technology and Culture – These are two separate concepts but in our generation these two issues have become intertwined. There’s the internet, social media, blogs, online banking and shopping, online Torah, online shidduchim, online college, etc… So many options. Of course there are the obvious and inherent dangers of the internet as well. Our community has not been very good at absorbing the dramatic changes that have swept the world. We have tried to build walls around that which you can’t. Many have just ignored the calls for no internet. We have yet to see the impact of the Asifa and the post-Asifa debacle. Seems to me VIN still has plenty of readers, as do the frum online papers in Brooklyn and Lakewood. So what’s right and what’s wrong? Do the people at the helm understand the facts on the ground well enough to guide us? Who is providing them with these facts? Where we are Today – The sum total of all these questions and I’m sure I’m leaving some out, is that many people who in their heart of hearts are really quite frum, can no longer live by the status quo. They have no interest in throwing away Yiddishkeit, chas v’sholom. Moshe Emes V’Toroso Emes, but somewhere, somehow, things got crazy. We need another approach, but one that is true to our Torah. The next generation of young married couples may send their kids to the same schools they went to, (they really are quite frum, B”H! ), but will allow their kids much more interaction with the world than they were allowed. The old way was too stifling and it contributed to all the problems listed above. But what do they allow? What do they encourage? They wish, they dream and they yearn, that there were leaders who would understand them - leaders who would show them how the world they currently live in, the world that they cannot escape, is a world where the Torah can guide them. This new generation is waiting for such leaders to emerge. In the 1800s Rav SR Hirsch taught his generation that the Torah can infuse their lives, in the culture they lived in, with kedusha. He taught that the world around them was davka put there to be uplifted. Life can be very Toradik, even out of Kollel! (plus you can pay the bills too. Amazing!) We need someone like Rav SR Hirsch to emerge to show us how to pull this off in our generation! In the meantime, we hobble along. The new generation is tired of the edicts and has become very cynical. That’s a shame. That’s not very Toiradik, and deep down we know it. The new generation often ignores its leaders, because it doubts they are leading – either because they are being manipulated or because they believe we are still living in a world where we respond to our fears by building higher and higher walls. Ignoring the leaders is also not very Toiradik and deep down we know it. Aren’t there any leaders we can talk to who understand us? Where are you? Who are you? I believe that the growing segment of people who fit in to this description will find their leaders. Call them Right Wing Modern Orthodox. Call them Left Wing Yeshivish. Call them Hirschians. Just don’t assume they will look like their parent’s generation. But also don’t assume they aren’t frum enough. They are quite frum. In my humble opinion, they are the future of Yiddishkeit. Very well written. I've seen firsthand, askonim manipulate gedolim to further their own convoluted agendas. Sadly, I've seen this too. I cannot describe what I witnessed, but I grappled with what I witnessed for a long time. My intention in writing this piece at Dovid's request was not to bash our leadership. I am disappointed with "the system" but harping on that won't get us anywhere. It is my hope that a new leadership, more in tune to the people, less concerned about their positions, will emerge. One thing that we NEED, as a klal, is to have leaders be fearless to state publicly and for the record what they believe is in the best interest of the klal, to be able to withstand askanim - who are these people anyway? - and to deliver firsthand their rulings. The Chofetz Chaim never needed a 'handler', neither did the RAMBAM or Rav Moshe Feinstien. why is it only today that we have people refusing to believe a psak (like myself) because we don't believe that it came from them? I read a first hand account a year or so ago, about a rav who was working very hard (if my memory serves me right, it was shabbos-mode ovens) to issue a blanket psak and was 'overruled' by a posek in Israel. One his next trip to Israel, he made a visit with this gadol, got a handwritten psak that its fully permissible. One of the rav's "gabboim" informed him that he was not going to be allowed to keep the paper on which the psak was written. What have we come to when we have askanim going from gadol to gadol to manufacture halachos to suit their needs, while preventing the gadol from doing his job? Wow. Why couldn't he then inform the gadol that this just transpired? This is what confuses me. Are the gedolim aware of this stuff? Can't they be made aware? I am confused why it is that we can't just let the gedolim know that this stuff is happening. Why can't someone just walk in to a gadol, even with one of the askonim hovering nearby (yes, that's what they do) and just inform them "You know that paper you wrote your psak on? Well they won't let me keep it." and see what happens. Why does that never happen? And if it does, and now they are aware of this stuff, why are they allowed to remain in their positions, if this behavior is against the wishes of the people that they are supposedly protecting? Reb George, bravo! I identified with everything you said. However, in our quest to reform the kolel 'lifestyle' or culture, let us not forget the (few and far between) emmese bnei torah, the masmid who is moiser nefesh to horiveh in learning and has the character to show for it. I'm sure you've met /know some of these unsung heroes. Unfortunately, I did not live up to that ideal, but I would still want my sons to have that as their sh'ifus; wouldn't you? Although R' Aryeh Kaplan זצ"ל was also a great disseminator of Torah thought, it was R' Aryeh Carmel זצ"ל that brought us the Michtav M'Eliyahu. You are right. That was a typo. If my sons (or daughters) have no way to support themselves and I don't have a way to help them then no, I do not expect them to follow the kollel/chinuch path that I once did. If they were to have sh'ifos for gadlus, they need to understand going in to it that they might live a life of poverty. There is no guarantee of a rich father-in-law. Their spouses needs to be ready for these hardships too. If as a couple they are very strong, and find a way to live a happy, kollel life, I would be very proud. But most cannot say that they can live that way and I do not expect that my children will be able to. Sad, but true. I think many people delude themselves about what they are capable of or what their children are capable of. Then when it's too late to help they have real problems that they have no way of dealing with. I was today with my camp at Rabbi Shimon Bar Yochai and explaining how he was the originator of living a completely spiritual life and relied on hashem to provide. I also pointed out that he was ok with a date tree and water spring so it worked for him. You should have read the fight that broke out on the soferet listserv for haredi writers this week when one author and journalist made her case for showing photos of women in Jewish-interest publications! She was slammed for making sense. The critics proved that they are brainwashed people who do not think for themselves. They made no sense. Haredi lifestyles do that to people. Sad. I just lurk on the listserv and wonder why they never break free. I don't blog and I am not planning on starting doing that. referring more to what I perceive to be mainstream Orthodox Judaism. scholar knowing all things... When did that happen, exactly? criticism for the Chashmonaim usurping the malchut, and it came to a bad end. line between King, Sanhedrin and Kohen, and is thus inherently flawed. at the least incompetence, and at the worst, corruption. that there are limits to their authority? than rants, but I don't blog and I am not planning on starting doing that. Marvelous job, Curious. Couldn't have said it better. I am Israeli dati leumi and so many things about the Israeli haredi world, or what I read about Americans based on articles such as this, completely baffle me. Take the askonim for example. A chap who used to be close to Rav Ovadia was interviewed in a newspaper 2-3 years ago and when asked if he was still close to Rav Ovaida he said he can't be because of the askonim. I would like to believe that Rav Ovaida knows the difference between people coming up to him directly (old) and being surrounded by gatekeepers (new). It has been reported enough times that rabbis were threatened to sign pashkevilim and so on. Rav Yisrael Rosen has written about askonim perverting the course of justice to ban Shabbat elevators and so on. So, the rabbis are aware of what's going on which just reminds us of our dire lack of leadership, which is so true in Israeli politics and also in the dati leumi world. I'll just share a conversation with a chap in shul yesterday morning. He showed me the Mishna Berura about covering one's forearm during nefialt apayim. I used to do that but one of my rabbanim form yeshiva told me it wasn't necessary so I stopped. Simply out of convenience. If you're wearing a short sleeved shirt it's difficult to cover your forearm. I explained why I don't do it and he pronounced something along the lines that if this rabbi goes against the Mishan Brura then he's not reliable. We're talking about something which is neither derabonon or d'orayasa here. I asked him if we all do everything in the Mishna Brura and if it is not possible that people disagree with the Mishna Brura. To my amazement he believes that if you go against the Mishan Brura you are mezalzel, you go against the rabbonim and words to the effect that your Torah is illegitimate if you don't do everything that the gedolim say. He went on to say that rabbonim who go up to Har habayit are chayav karet and they go against the gedolim. Rav Solovietchik doesn't count because he permitted shaving on Chol Hamoed which is against the Shulchan Aruch. I thank God that I'm not in such an environment of narrow dogmatic thought. It was a very similar conversation I had with a communal rabbi just outside Boston who had been kind enough to host me for Shabbat a few years ago. Among many other things in the dati leumi world, he was greatly concerned by the fact that Israeli teachers wear sandals without socks. That delegitimizes them as passers on of the mesora to their charges. So, Curious George, you're going to be very busy writing these articles for quite a few years to come, I'm afraid. How on earth can they not be aware???? I don't have the answers to your bigger questions but I think that without addressing this head on, things will change. Da'as Torah has become such a sacred concept to so many peole that I don't know if fighting the concept will work. Stigma is a very big deal in our community, nonetheless it amazes me that there are parents who tell their children not to worry about parnassa. What do those parents tell their children 10 years down the road when their children's financial situation is beyond crisis and the parents have no way to help? Sorry? Will that suffice? There are plenty of real life example of what I'm saying to set off many alarm bells. If the gedolim don't change they system, the people will. I think that time has arrived. As I wrote, I don't know exactly what it will look like, but economics alone are enough to force a change. And there are other factors that will agitate change, some of which I mentioned above. Even if people are uncomfortable making broad statements to the community with their names attached (in real life I don't go by Curious George :-) ) when the need is great enough, many sane people will act as they see fit. If they don't, they will really be in trouble in a few years. Do people really want that for themselves and their kids? I don't think so. I know I don't. Things can't stay like this for much longer. They will change. Thanks for the thoughtful reply. I grew up in the Yeshivish/Chassideshe world... well sort of, since I grew up in Denver.. and as we all know "out of town" is a different thing... but watching my family who lives in New York, I understand the stigma issue. Happily, I broke away from that culture and live in what you call Right Wing Modern Orthodox/Left Wing Yeshivish-ville. However, I am not sure I share your optimism about the speed at which economics will impact the status quo. We have been saying this for 20 years and the change has been minute. I think archeological epochs move at a faster rate. There was a time when I accepted that Judaism had to move slower than the world to preserve itself... now I wonder if that slow move is killing is faster, by causing people to "opt out", as we disenfranchise women, free thinkers, etc. I sure hope you're wrong about people bailing out. Our Torah is too good to give up on. Without it, we are really lost. I think the social issues that have intensified and have become more alienating in recent years such as the recent Assifa debacle, are going to force change more rapidly. The economics will be the main reason for many but this other stuff will speed the change along. That is the heart of the problem, isn't it? What is the Torah that Hashem gave to us and wants us to keep, and what is the increasingly warped interpretation of it that is being pushed down our throats? When some leading philanthropists got into financial difficulty well over ten years ago, could be 15-20 years by now, people said, the charedim won't be able to keep this up any more. Things will change. If they changed, it was only to be more of the same, just more intense and more extreme. How can someone be very learned, have a father who's a dayan and he himslef gives a daf yomi shiur, yet he is convinced that if you follow an opinion contrary to the Mishna Brura then you go against the Torah. If you go up to Har Habayit you are posul. I asked him if nothing in Igrot Moshe contradicts the Mishna Brura. We have a 2000 year tradition built on machloket, plurailty of halachic opinions, different customs, and all of a sudden we can only follow one opinion. How can you be so learned yet not notice something as basic as a Torah that simultaneously allows people to follow 70 different contradictory traditions? warped interpretation of it that is being pushed down our throats? Perhaps, but putting it in such negative terms will not help. We need to inspire positive direction, not create a rebellion with no solution. That would be very bad. There are times when the leaders become informed by the people. Even the Sanhedrin had to back off at times. That's the whole concept of a gzeira she'ein hatzbibbur yochol la'amod ba. I don't think that chazal had an "increasingly warped interpretation" of the Torah during those times they tried to push the tzibbur to do what they couldn't. Do you? I hope not. Perhaps part of what we're seeing in our time is the same sort of thing, to some degree. Another consideration: Part of what we're seeing is because we live in a time when the world is a very open place and the leadership is at wits ends to come up with a plan. Open isn't always so good. Study sefer Shoftim and you'll see how many times we kept slipping downward as we became like our neighbors. So far, the solutions being offered seem to be applying things that didn't work well for the past 200 years, but they worked somewhat. There was always a small nucleus of bnei Torah that towed the line. But now, with the advent of the internet, they really have a problem. I think the solution lies in a modern day version of what RSRH taught. But don't think that's simple either. We live in a different era and it will not be simple. RSRH had a lot of yiras shomayim. Compare his leadership to ideas of random bloggers which are often flippant and not within the bounds of halacha. We can't just copy/paste his solutions. The hefkeirus and the pritzus in our dor is tangible. Even we self acclaimed frum but open minded bnei Torah must acknowledge how difficult this challenge is. Navigating a solid, frum life in our times is not simple. This begs for new leaders to guide us. There are strong voices popping up here and there. There's Yitzchok Adlerstein, there's the Rav of Aish Kodesh. I'm hoping there are many more like them. Wait it out, things will improve. Hashem won't abandon us! For many, things have already started to change. Not everyone is opting for kollel. There are all sorts of programs popping up to give yeshivish people an opportunity to get training for real jobs. As for the MIshna Berura fella, yes there will always be those who have a hard time seeing past their daled amos. But does that speak for the whole generation? self control." Yes. What happened to חנך לנער על־פי דרכו? Children should not be used to play out their parents' little social-hierarchy games. It does happen and the Gedolim are aware. How it continues is a much more complicated issue. I hope to address this in a future post. Amazing article, and every single point mentioned is valid and a huge problem. There has to be a solution. This must stop.